I cannot believe that I graduated from college over 10 years ago now. I remember being in high school and dreaming about college. Somehow, the idea of actually going to school because I wanted to was exciting to me. At first, I wanted to be a nurse and visited a local college to check out their RN program. I went through some pretty difficult hoops and in the end, discovered that it wasn't going to be something that I would want to spend the rest of my life doing. A cousin of mine was a career services director at a different college and she invited me to come for the day and do some testing. These tests were meant to help me figure out what I would be good at and after going through those simple tests, I realized that administrative assisting was what I would thrive at. I was SO excited to finally have some direction and eagerly put in my application at a local Bryant & Stratton Business College. It was no surprised that I was accepted immediately and began my college education...I loved every minute of it. I was your typical college student...fresh out of high school, broke and working multiple jobs to try and prevent getting student loans. It was a struggle and I always dreaded buying my books. I was even more frustrated to learn that most of my books weren't even opened and if they were, were used very minimally. Oh, what a waste of money. I would go to used book sales but the book publishers would change the books so frequently, the books for sale were no longer usable for the upcoming classes because they were out of date. Ahhhh! I always ended up buying new books and tried to resell them once I graduated. How cool is that?!? Boy, do I wish I had known about this company back when I was in college. I would have saved so much money. 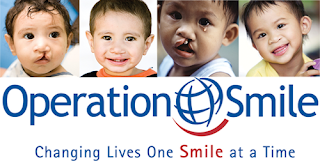 Another really great reason you should choose CampusBookRentals is that they donate to Operation Smile with every text book that is rented. Through June 2014, CampusBookRentals has made a minimum commitment to contribute 80 more surgeries, but that's just a minimum! We hope to contribute much more. Specifically, we're contributing to Operation Smile in two ways: First, we’ve made the minimum commitment as mentioned above. And second, through RentBack, we provide students the opportunity to direct any portion of their earnings to Operation Smile directly from their RentBack account. RentBack is a powerful program that puts money into student's pockets. We've now provided the tools to allow students to contribute directly through this powerful program. You will definitely feel good about giving your money to CampusBookRentals...there are just too many reasons why you should. Save your money for more important things and stop wasting your valuable resources on books that you will never ever need again. 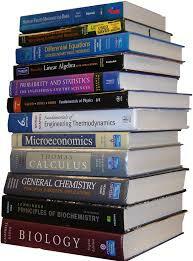 Check out CampusBookRentals.com and start saving TODAY. Disclaimer: This is a sponsored post for CampusBookRentals. All opinions and thoughts are my own.